Ringo Starr: You know that's incredible because there's so many tweeter name have something related to the Beatles. Ringo Starr: I had to ask the guy who called himself Ringo to decease. And to get away. And he did. How great is that ! #AskRingo: He gave it up ? #AskRingo: Rosa wants to know : If you could change something in the world, what would it be? 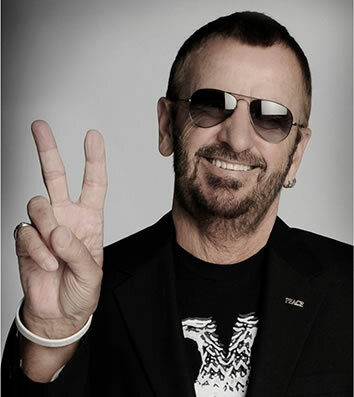 Ringo Starr: Well you know what I'd like to change, I'd like to change it all to peace and love. I mean, my dream one day, one minute, one hour, one day, one year, the whole world will go peace and love. And it will change everybody's dynamics. And maybe to get there we could all meditate, because it really helps. #AskRingo: A nature peace dream, another song.